Fine dining in Lake County, Florida. 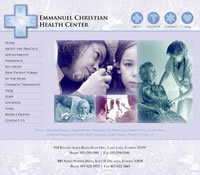 Emmanuel Christian Health Center is a private practice operated by Vivian J. Woodard, M.D. and her staff, offering a variety of health care services to patients in Orlando and Lady Lake, Florida.